One year ago, Veeam acquires N2WS with the intent to extend Veeam capabilities to the public cloud environments. N2WS was founded with the mission of providing enterprise-class data protection for workloads in the public cloud. N2WS is a leader in IaaS data protection, providing a cloud-native backup solution specifically designed for AWS workloads, enabling organizations to back up data and applications as often as needed and recover them in seconds. N2WS grew revenues by 102% in 2017. With Veeam Availability for AWS, Veeam is set to revolutionize data protection and management for the AWS public cloud, thus providing the most comprehensive Availability solution helping enterprises to reliably move to and manage multi-cloud environments. 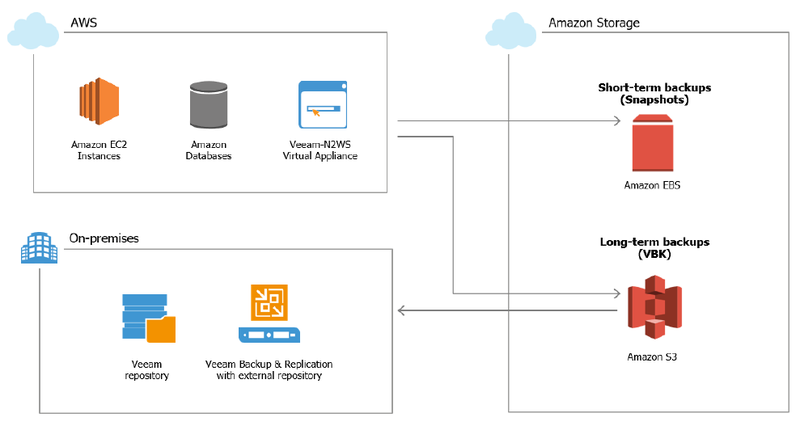 Veeam Availability for AWS is a complete cloud-native, agentless data protection for AWS workloads with the ability to consolidate the backup data in a central Veeam repository. This solution mitigates the risk of losing access to your applications and ensures protection of your AWS data against accidental deletion, malicious activity and outages; with backup and restore for cloud-native Amazon Elastic Compute Cloud (EC2) instances. Part of Veeam Availability Platform, this new solution combines the market-leading Veeam N2WS cloud-native backup and recovery of AWS workloads with the ability to consolidate the backup data in a central Veeam repository. This new offering enables customers to reliably move data to and holistically manage across multi-cloud environments. It also mitigates the risk of losing access to cloud applications and ensures protection of AWS data against accidental deletion, loss of AWS account access, data-level security threats and outages. With Veeam Availability for AWS it’s possible manage a multi-cloud environment with a single platform. Cloud-native agent-less data protection – Cloud-native, agentless backup and recovery using native AWS snapshots eliminating complexity and dramatically improving recovery SLAs. Cloud mobility – by decoupling backups from AWS infrastructure and storing in independed format, on-prem or also still on AWS. This mitigate risk of downtime and data loss for your AWS workloads by decoupling data and storing backups independently from the underlying AWS infrastructure. Restore EC2 instances – Take full advantage of powerful, reliable recovery technologies to achieve industry-leading RTOs including instant recovery, granular file and application recovery.